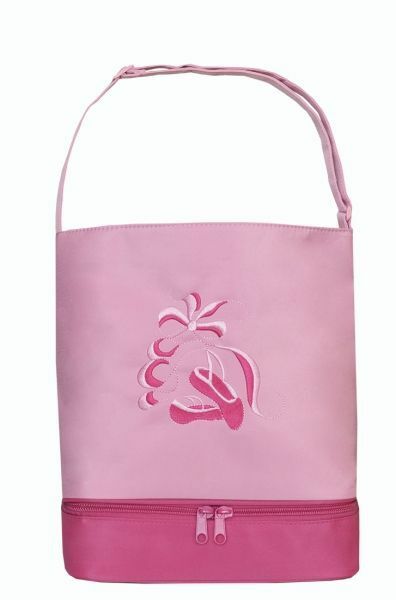 Brilliantly embroidered Pointe Shoes on a pink tote bag. Separate bottom shoe compartment. Microfiber material wipes clean with a damp cloth. Can be personalized.